The Growers Fare is open to the public and will be held in the Downtown Market’s second-floor banquet room. For more information about the Growers Fare, visit http://downtownmarketgr.com/classes-events/5th-annual-growers-fare or http://www.wmgrowersgroup.org./growers-fare-csa-open-house/. /Field & Fire Spinach and Feta croissant - available at the Downtown Market's Very Veggie Saturday. On March 9, the West Michigan Growers Group is partnering with Michigan State University Extension and the Grand Rapids Downtown Market to host the fifth annual ‘Meet a Farmer, Find a Share’ Growers Fare from 10 a.m. to 1:30 p.m. Local, sustainable farmers will be present to talk with community members looking to source local food directly. The Saturday event will also include crafts for children and learning activities sponsored by several food justice and sustainable food-related nonprofits. 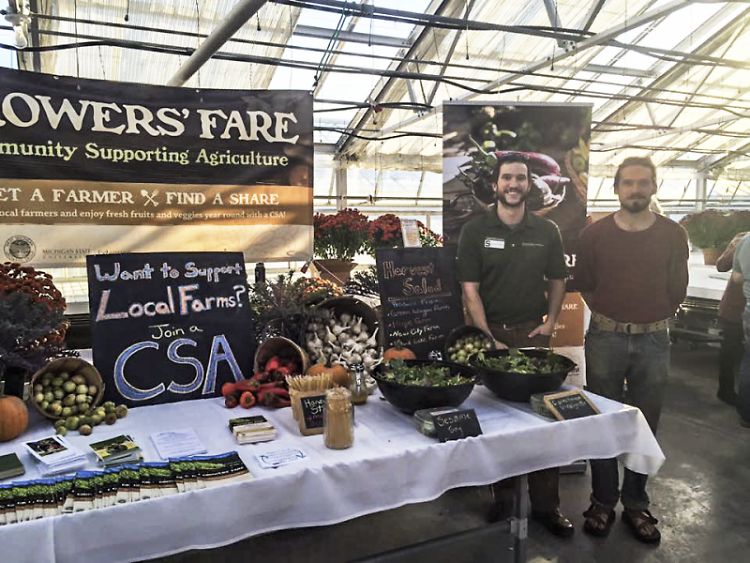 The event aims to educate local residents about the Community Supported Agriculture (CSA) model and bring more awareness to local small-scale farms, giving attendees the opportunity to talk with farmers about their growing practices and products. The Downtown Market is also hosting its first-ever Very Veggie Saturday the same day, featuring veggie-inspired specials from many Market Hall businesses. 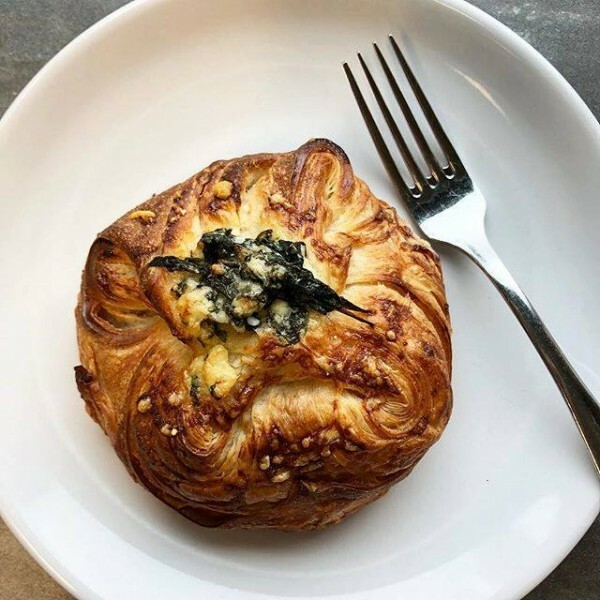 Vegetarian menu items available March 9 include Spinach and Feta croissants, Smoked 4-Bean Vegan Chili, Avocado Mousse and Gelato, Ratatouille, Veggie Sushi Rolls and more. West Michigan Growers Group aims to create a lively and sustainable local food system that is equitable for farmers and consumers, and meets to exchange ideas and tools, as well as share labor and other costs. Most Growers Group farms operate a CSA where subscribers receive a weekly or biweekly share of the harvest throughout the growing season. Farms range geographically from Kent City to Ada—even within Grand Rapids’ city limits – and raise a wide range of animal and vegetable products.